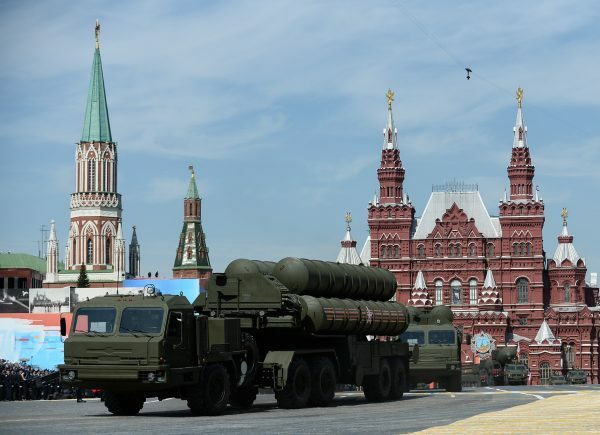 Russian Foreign Minister Sergei Lavrov has confirmed reports from the military that its forces in Syria have deployed S1, S-300, and S-400 air defense weapons at their airbases there. “Let me repeat: both the S-300 and the S-400 are purely defensive armaments, which do not threaten anyone,” Lavrov said shortly after meeting with French Foreign Minister Jean-Marc Ayrault who is in Moscow to discuss a new ceasefire initiative in Syria. He said the defense weapons systems were to protect Russian forces. He also said that Washington should quiet the rhetoric calling for the US military to use force in Syria. Meanwhile, Russian Defense Ministry spokesman Igor Konashenkov said that any aggression against territory currently under Syrian government control would threaten Russian personnel currently on the ground delivering humanitarian aid to the civilian population. The Russian military would eliminate such threats, Konashenkov said. The u.s. presidential election is rigged as usual, Clinton or Trump, it’s the same one-sided coin pretending to be two-sided. Either of these will keep waging wars wherever they can get away with it.